Savor breathtaking beauty and enduring traditions as you travel from Vietnam's imperial cities to the Mekong River Delta. This was our first Smithsonian tour and we were impressed! It combined first class transportation and accommodations with intelligent and thought provoking seminars plus knowledgeable tour directors and study leaders. It won't be our last Smithsonian Journey. As one of the outstanding Wyndham brand hotels, Wyndham Legend Halong locates on the coastline of Bai Chay with stunning views of the World Heritage site, Ha Long Bay, and Bai Chay Bridge whilst offering an easy access to the downtown and surrounding attractions. Along with 217 spacious luxury rooms and suites, ultra-modern meeting equipment, WIFI internet throughout and a range of in-house upscale facilities. Just a quick walk from the hotel to the Sun World Ha Long Park and the cable car station, do not miss your chance to explore the most challenging roller coaster in Vietnam and one of the highest ferris wheels in the world. The InterContinental Hanoi Westlake Hotel is a welcome retreat from the bustling city center, located over the serene waters of West Lake, yet only minutes from Hanoi’s Old Quarter. This luxurious urban resort offers tai chi lessons beside the outdoor pool. Savor fine cuisine at the hotel’s Café Du Lac and Milan restaurants, and relax in contemporary guest rooms and suites with a large soaking bathtub, separate walk-in rain shower and spectacular views from your own private balcony. Hyatt Regency Da Nang Resort and Spa is a luxury hotel in Da Nang located on Vietnam's picturesque central coast. Situated on an immaculate stretch of white-sand beach, the resort offers an idyllic oceanfront setting, with sweeping views of the East Sea. The 200-room hotel includes several restaurants and a spa. Air-conditioned guest rooms have a private bath with hair dryer, in-room safe, mini-bar, Internet access, TV, and phone. Built in 1901 and renovated in 1998, this colonial style hotel in the city center blends old world charm with traditional Vietnamese hospitality. Hotel amenities include several restaurants and lounges, Fitness Center with sauna and massage, outdoor pool, beauty salon, and crafts shop. Guest rooms have private bath with hair dryer, in-room safe, mini-bar, Internet access, TV, and phone. Built in 1998, this resort hotel sits on the banks of the Hau River, an estuary of the Mekong River, amid beautiful tropical gardens. Hotel amenities include a restaurant and bar; outdoor pool; spa with sauna, massage, and aromatherapy; tennis and badminton courts; billiard table; and a library. Air-conditioned guest rooms have private bath with hair dryer, in-room safe, mini-bar, Internet access, TV, and phone. The Sofitel Saigon Plaza is located in the city center, in the heart of the business district and close to Notre Dame Cathedral and Reunification Palace. The 275-room property includes two restaurants, two bars, a swimming pool, and fitness center. Air-conditioned guestrooms have private bath with hair dryer, in-room safe, mini-bar, Internet access, TV, and phone. Set amidst tranquil landscaped gardens on beautiful tree-lined Charles de Gaulle Avenue, Sofitel Angkor Phokeethra Golf and Spa Resort is close to the ruins at Angkor Wat, as well as near traditional markets and other local attractions. Combining French and Khmer architecture to provide refined, elegant accommodation, the 238-room hotel features five restaurants and two bars, Internet access, fitness center with jacuzzi and sauna, and outdoor pool. Air-conditioned guest rooms have private bath with hair dryer, in-room safe, mini-bar, TV, and phone. DK Eyewitness Travel Guide: Vietnam and Angkor Wat will lead you straight to the best attractions this beautiful part of the world has to offer.Explore the floating markets of the Mekong Delta, the hill towns in the north, and all the best beaches to be found in between; zip around old Hanoi in a pedal-powered cyclo; and be sure to indulge in the exquisite local cuisine.Discover DK Eyewitness Travel Guide: Vietnam and Angkor Wat. • Detailed itineraries and "don't-miss" destination highlights at a glance. • Illustrated cutaway 3-D drawings of important sights. • Floor plans and guided visitor information for major museums. • Guided walking tours, local drink and dining specialties to try, things to do, and places to eat, drink, and shop by area. • Area maps marked with sights. • Detailed city maps each include a street finder index for easy navigation. • Insights into history and culture to help you understand the stories behind the sights. • Hotel and restaurant listings highlight DK Choice special recommendations. With hundreds of full-color photographs, hand-drawn illustrations, and custom maps that illuminate every page, DK Eyewitness Travel Guide: Vietnam and Angkor Wat truly shows you what others only tell you.Series Overview: For more than two decades, DK Eyewitness Travel Guides have helped travelers experience the world through the history, art, architecture, and culture of their destinations. Expert travel writers and researchers provide independent editorial advice, recommendations, and reviews. 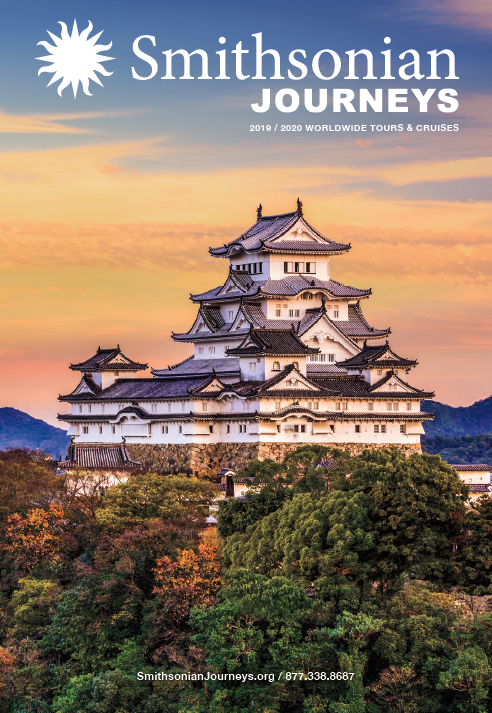 With guidebooks to hundreds of places around the globe available in print and digital formats, DK Eyewitness Travel Guides show travelers how they can discover more.DK Eyewitness Travel Guides: the most maps, photographs, and illustrations of any guide. The American experience in Vietnam divided us as a nation and eroded our confidence in both the morality and the effectiveness of our foreign policy. Yet our understanding of this tragic episode remains superficial because, then and now, we have never grasped the passionate commitment with which the Vietnamese clung to and fought over their own competing visions of what Vietnam was and what it might become. To understand the war, we must understand the Vietnamese, their culture, and their ways of looking at the world. 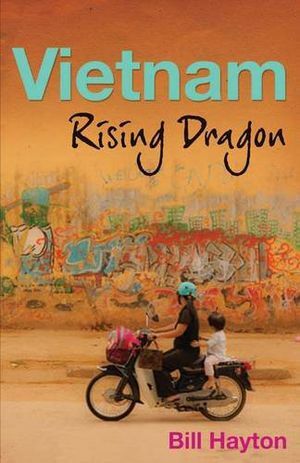 Neil L. Jamieson, after many years of living and working in Vietnam, has written the book that provides this understanding.Jamieson paints a portrait of twentieth-century Vietnam. Against the background of traditional Vietnamese culture, he takes us through the saga of modern Vietnamese history and Western involvement in the country, from the coming of the French in 1858 through the Vietnam War and its aftermath. Throughout his analysis, he allows the Vietnamese―both our friends and foes, and those who wished to be neither―to speak for themselves through poetry, fiction, essays, newspaper editorials and reports of interviews and personal experiences.By putting our old and partial perceptions into this new and broader context, Jamieson provides positive insights that may perhaps ease the lingering pain and doubt resulting from our involvement in Vietnam. As the United States and Vietnam appear poised to embark on a new phase in their relationship, Jamieson's book is particularly timely. 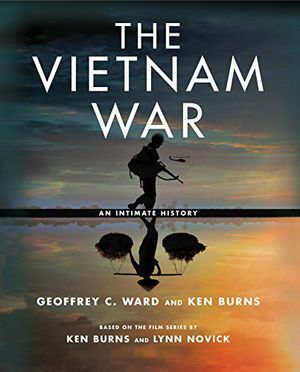 From the award-winning historian and filmmakers of The Civil War, Baseball, The War, The Roosevelts, and others: a vivid, uniquely powerful history of the conflict that tore America apart--the companion volume to the major, multipart PBS film to be aired in September 2017.More than forty years after it ended, the Vietnam War continues to haunt our country. We still argue over why we were there, whether we could have won, and who was right and wrong in their response to the conflict. When the war divided the country, it created deep political fault lines that continue to divide us today. Now, continuing in the tradition of their critically acclaimed collaborations, the authors draw on dozens and dozens of interviews in America and Vietnam to give us the perspectives of people involved at all levels of the war: U.S. and Vietnamese soldiers and their families, high-level officials in America and Vietnam, antiwar protestors, POWs, and many more. 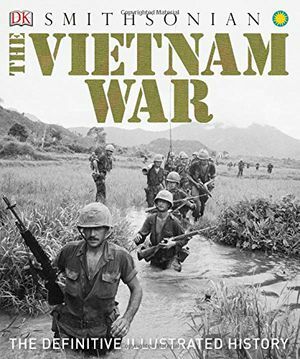 The book plunges us into the chaos and intensity of combat, even as it explains the rationale that got us into Vietnam and kept us there for so many years. Rather than taking sides, the book seeks to understand why the war happened the way it did, and to clarify its complicated legacy. Beautifully written and richly illustrated, this is a tour de force that is certain to launch a new national conversation. 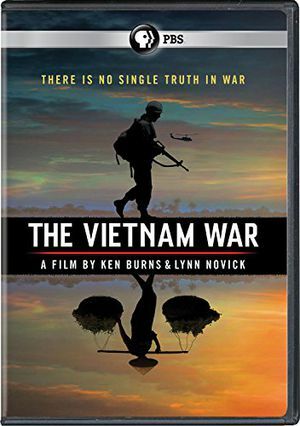 The Vietnam War, an immersive ten-part, eighteen hour documentary film series directed by acclaimed filmmakers Ken Burns and Lynn Novick, tells the epic story of one of the most divisive, consequential and misunderstood events in American history, as it has never before been told on film. Since relations between the U.S. and Vietnam have normalized, many more people are traveling to this exotic country, previously closed to a generation of Western visitors. Vietnam provides one of the first chances for Americans to know the Vietnamese outside the context of war. Vietnamese have been telling stories for thousands of years, in poetry and in song, in Chinese script and then in Vietnamese nôm, and more recently, in novels and short stories. 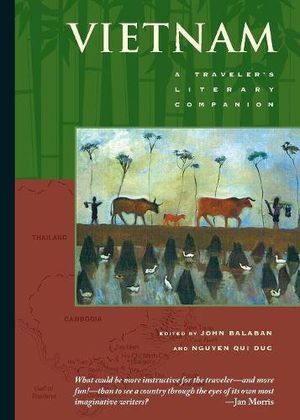 These 17 stories, from contemporary Vietnamese writers living in Vietnam and abroad, take the literary traveler to extraordinary places: from the jungle-clad mountain ranges of the North to the mysterious silence of the old capital along the Perfume River. 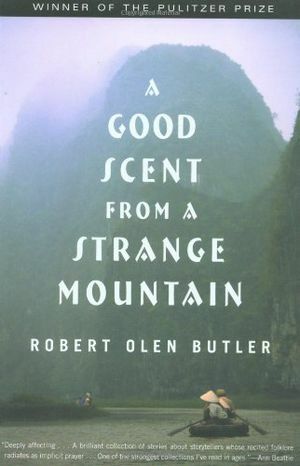 Proximity of the spirit world, love of family, exhaustion from war, one's Confucian, Taoist, and Buddhist obligations, social protest, and the hunger for a better life — these are some of the concerns to be encountered in these thrilling landscapes. 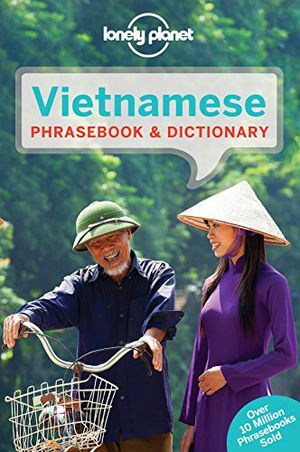 Contributors include Nguyen Huy Thiep, Linh Bao, Nguyen Ba Trac, Thich Duc Thien, Ho Anh Thai, Le Minh Khue, Doan Quoc Sy, Vu Bao, Duong Thu Huong, Andrew Q. Lam, Nguyen Qui Duc, Qui The, Bao Ninh, and Pham Thi Hoai. In the second half of the twentieth century war raged in Vietnam. It was hard to know if it would ever end, and harder still to understand fully the rights and wrongs of the various protagonists. At last, the North Vietnamese turned out to be tough, resilient, and ultimately victorious. Patience in adversity sums up the Vietnamese character. After reunification in 1975 the Vietnamese experienced many difficulties. The immediate postwar years were harsh. Some fled into exile; others underwent “rehabilitation” to make them fit to live in a Communist state. To this were added economic hardships and even starvation. Since then, however, life has been transformed. The decision to abandon the centrally planned economy in favor of a “socialist market economy” was a bold step, as was the decision to throw open the doors and invite the world to invest in the new Vietnam. Visitors today will find a confident, independent people, nursing few if any grudges about the war. They are open and friendly, with a sense of humor and irony, and frankly curious about the outside world. Kind and generally helpful toward strangers, they are industrious, shrewd, and determined to improve their lot. Culture Smart! 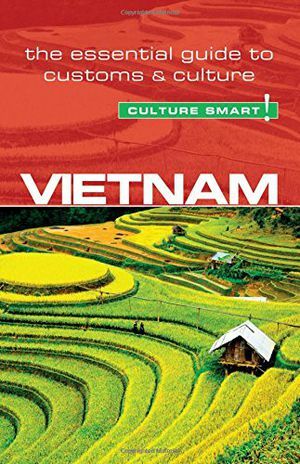 Vietnam outlines the history, culture, traditions, sensibilities, and modern way of life of the Vietnamese. It explains certain deep-seated attitudes, describes some of the social and cultural changes now under way, and gives practical advice on what to expect and how to behave in unfamiliar situations. It aims to help you discover for yourself the warmth and vast potential of this fascinating country and its delightful people. 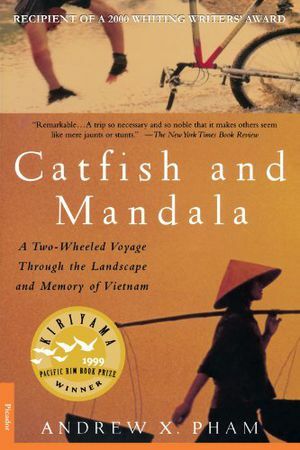 Frances FitzGerald's landmark history of Vietnam and the Vietnam War, "A compassionate and penetrating account of the collision of two societies that remain untranslatable to one another." 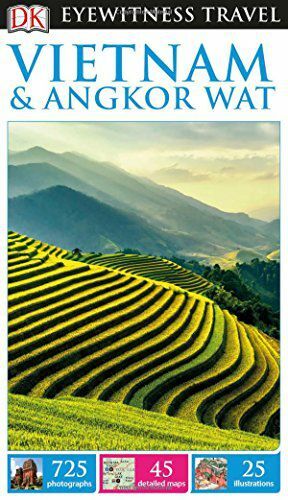 (New York Times Book Review)This magisterial work, based on Frances FitzGerald's many years of research and travels, takes us inside the history of Vietnam--the traditional, ancestor-worshiping villages, the conflicts between Communists and anti-Communists, Catholics and Buddhists, generals and monks, the disruption created by French colonialism, and America's ill-fated intervention--and reveals the country as seen through Vietnamese eyes. 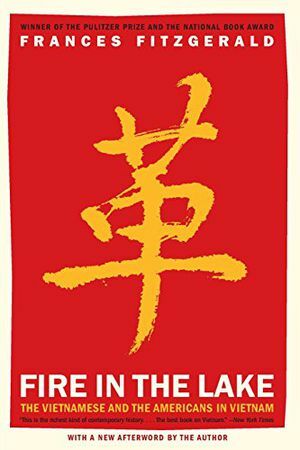 Originally published in 1972, FIRE IN THE LAKE was the first history of Vietnam written by an American, and subsequently won the Pulitzer Prize, the Bancroft Prize, and the National Book Award. With a clarity and insight unrivaled by any author before it or since, Frances FitzGerald illustrates how America utterly and tragically misinterpreted the realities of Vietnam. 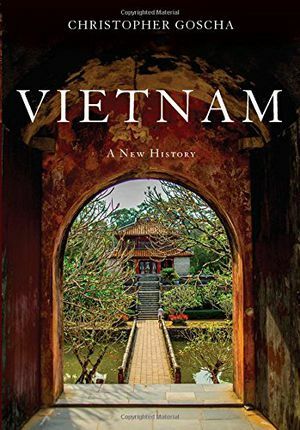 A 2017 Cundill History Prize Finalist"Groundbreaking...Goscha has provided quite simply the finest, most readable single-volume history of Vietnam in English." --GuardianIn Vietnam, Christopher Goscha tells the full history of Vietnam, from antiquity to the present day. Generations of emperors, rebels, priests, and colonizers left complicated legacies in this remarkable country. Periods of Chinese, French, and Japanese rule reshaped and modernized Vietnam, but so too did the colonial enterprises of the Vietnamese themselves as they extended their influence southward from the Red River Delta. Over the centuries, numerous kingdoms, dynasties, and states have ruled over--and fought for--what is now Vietnam. The bloody Cold War-era conflict between Ho Chi Minh's communist-backed Democratic Republic of Vietnam and the American-backed Republic of Vietnam was only the most recent instance when war divided and transformed Vietnam.A major achievement, Vietnam offers the grand narrative of the country's complex past and the creation of the modern state of Vietnam. It is the definitive single-volume history for anyone seeking to understand Vietnam today. The eyes of the West have recently been trained on China and India, but Vietnam is rising fast among its Asian peers. A breathtaking period of social change has seen foreign investment bringing capitalism flooding into its nominally communist society, booming cities swallowing up smaller villages, and the lure of modern living tugging at the traditional networks of family and community. Yet beneath these sweeping developments lurks an authoritarian political system that complicates the nation’s apparent renaissance. In this engaging work, experienced journalist Bill Hayton looks at the costs of change in Vietnam and questions whether this rising Asian power is really heading toward capitalism and democracy. 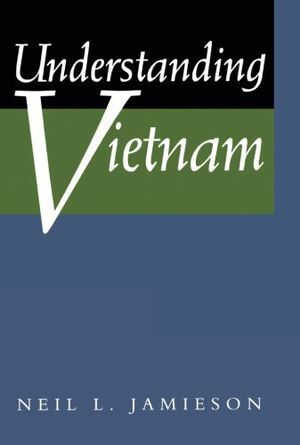 Based on vivid eyewitness accounts and pertinent case studies, Hayton’s book addresses a broad variety of issues in today’s Vietnam, including important shifts in international relations, the growth of civil society, economic developments and challenges, and the nation’s nascent democracy movement as well as its notorious internal security. His analysis of Vietnam’s “police state,” and its systematic mechanisms of social control, coercion, and surveillance, is fresh and particularly imperative when viewed alongside his portraits of urban and street life, cultural legacies, religion, the media, and the arts. With a firm sense of historical and cultural context, Hayton examines how these issues have emerged and where they will lead Vietnam in the next stage of its development. 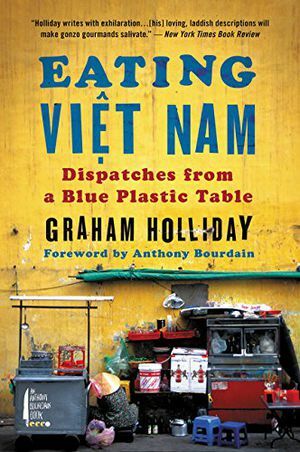 A journalist and blogger takes us on a colorful and spicy gastronomic tour through Viet Nam in this entertaining, offbeat travel memoir, with a foreword by Anthony Bourdain. Growing up in a small town in northern England, Graham Holliday wasn’t keen on travel. But in his early twenties, a picture of Hanoi sparked a curiosity that propelled him halfway across the globe. Graham didn’t want to be a tourist in an alien land, though; he was determined to live it. An ordinary guy who liked trying interesting food, he moved to the capital city and embarked on a quest to find real Vietnamese food. In Eating Viet Nam, he chronicles his odyssey in this strange, enticing land infused with sublime smells and tastes.Traveling through the back alleys and across the boulevards of Hanoi—where home cooks set up grills and stripped-down stands serving sumptuous fare on blue plastic furniture—he risked dysentery, giardia, and diarrhea to discover a culinary treasure-load that was truly foreign and unique. Holliday shares every bite of the extraordinary fresh dishes, pungent and bursting with flavor, which he came to love in Hanoi, Saigon, and the countryside. 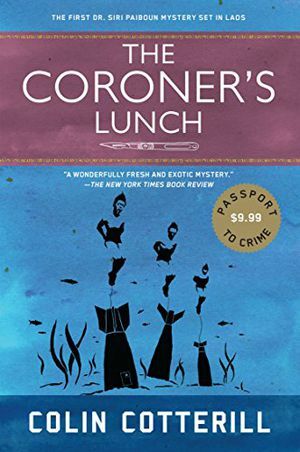 Here, too, are the remarkable people who became a part of his new life, including his wife, Sophie.A feast for the senses, funny, charming, and always delicious, Eating Viet Nam will inspire armchair travelers, curious palates, and everyone itching for a taste of adventure. Along the Mekong, from northern Tibet to Lijiang, from Luang Prabang to Phnom Penh to Can Lo, I moved from one world to another, among cultural islands often ignorant of each other’s presence. Yet each island, as if built on shifting sands and eroded and reshaped by a universal sea, was re-forming itself, or was being remolded, was expanding its horizons or sinking under the rising waters of a cultural global warming. It was a journey between worlds, worlds fragiley conjoined by a river both ominous and luminescent, muscular and bosomy, harsh and sensuous. From windswept plateaus to the South China Sea, the Mekong flows for three thousand miles, snaking its way through Southeast Asia. 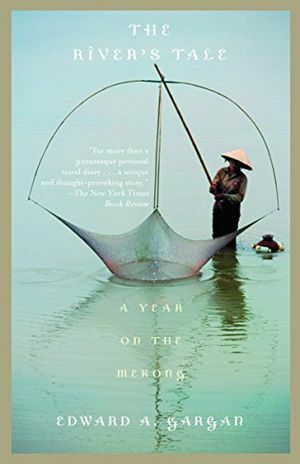 Long fascinated with this part of the world, former New York Times correspondent Edward Gargan embarked on an ambitious exploration of the Mekong and those living within its watershed. The River’s Tale is a rare and profound book that delivers more than a correspondent’s account of a place. It is a seminal examination of the Mekong and its people, a testament to the their struggles, their defeats and their victories. One of the Ten Best Books of the Year, Washington Post Book WorldOne of the Los Angeles Times’ Favorite Books of the YearOne of the Top Ten National Books of 2008, Portland OregonianA 2009 Honor Book of the Asian/Pacific American Librarians Association“Few books have combined the historical scope and the literary skill to give the ­foreign reader a sense of events from a Vietnamese perspective. . . . Now we can add Andrew Pham’s Eaves of Heaven to this list of indispensable books.” —New York Times Book Review“Searing . . . vivid–and harrowing . . . Here is war and life through the eyes of a Vietnamese everyman.”—Seattle TimesOnce wealthy landowners, Thong Van Pham’s family was shattered by the tumultuous events of the twentieth century: the French occupation of Indochina, the Japanese invasion during World War II, and the Vietnam War.Told in dazzling chapters that alternate between events in the past and those closer to the present, The Eaves of Heaven brilliantly re-creates the trials of everyday life in Vietnam as endured by one man, from the fall of Hanoi and the collapse of French colonialism to the frenzied evacuation of Saigon. 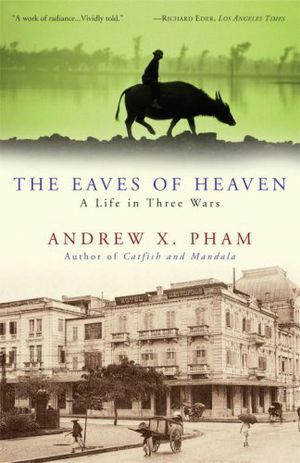 Pham offers a rare portal into a lost world as he chronicles Thong Van Pham’s heartbreaks, triumphs, and bizarre reversals of fortune, whether as a South Vietnamese soldier pinned down by enemy ﬁre, a prisoner of the North Vietnamese under brutal interrogation, or a refugee desperately trying to escape Vietnam after the last American helicopter has abandoned Saigon. 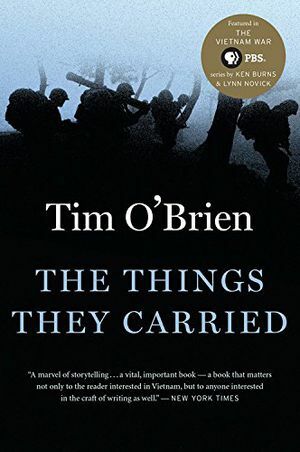 This is the story of a man caught in the maelstrom of twentieth-century politics, a gripping memoir told with the urgency of a wartime dispatch by a writer of surpassing talent. 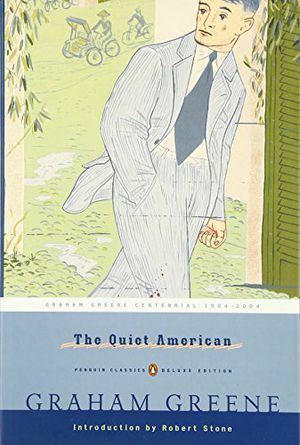 Graham Greene's classic exploration of love, innocence, and morality in Vietnam "I never knew a man who had better motives for all the trouble he caused," Graham Greene's narrator Fowler remarks of Alden Pyle, the eponymous "Quiet American" of what is perhaps the most controversial novel of his career. Pyle is the brash young idealist sent out by Washington on a mysterious mission to Saigon, where the French Army struggles against the Vietminh guerrillas.As young Pyle's well-intentioned policies blunder into bloodshed, Fowler, a seasoned and cynical British reporter, finds it impossible to stand safely aside as an observer. But Fowler's motives for intervening are suspect, both to the police and himself, for Pyle has stolen Fowler's beautiful Vietnamese mistress.Originally published in 1956 and twice adapted to film, The Quiet American remains a terrifiying and prescient portrait of innocence at large. This Graham Greene Centennial Edition includes a new introductory essay by Robert Stone.For more than seventy years, Penguin has been the leading publisher of classic literature in the English-speaking world. With more than 1,700 titles, Penguin Classics represents a global bookshelf of the best works throughout history and across genres and disciplines. Readers trust the series to provide authoritative texts enhanced by introductions and notes by distinguished scholars and contemporary authors, as well as up-to-date translations by award-winning translators. A country uncommonly rich in plants, animals, and natural habitats, the Socialist Republic of Vietnam shelters a significant portion of the world’s biological diversity, including rare and unique organisms and an unusual mixture of tropical and temperate species. 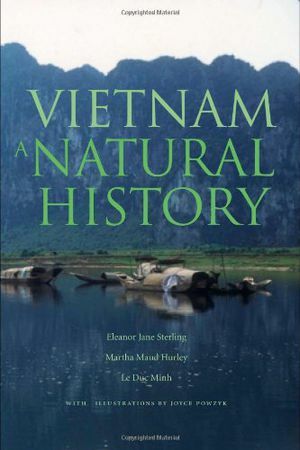 This book is the first comprehensive account of Vietnam’s natural history in English. 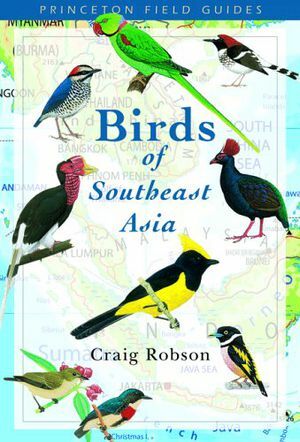 Illustrated with maps, photographs, and thirty-five original watercolor illustrations, the book offers a complete tour of the country’s plants and animals along with a full discussion of the factors shaping their evolution and distribution.Separate chapters focus on northern, central, and southern Vietnam, regions that encompass tropics, subtropics, mountains, lowlands, wetland and river regions, delta and coastal areas, and offshore islands. 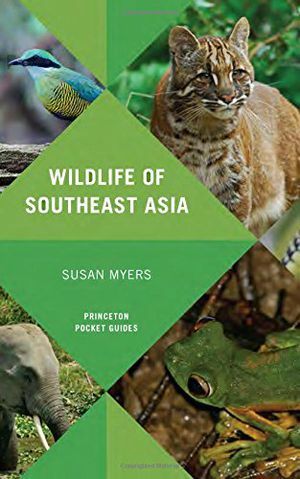 The authors provide detailed descriptions of key natural areas to visit, where a traveler might explore limestone caves or glimpse some of the country’s twenty-seven monkey and ape species and more than 850 bird species. The book also explores the long history of humans in the country, including the impact of the Vietnam-American War on plants and animals, and describes current efforts to conserve Vietnam’s complex, fragile, and widely threatened biodiversity. Created in association with the Smithsonian Institution, this authoritative guide chronicles America's fight against Communism in southeast Asia during the 1960s and 1970s, and comprehensively explores the people, politics, events, and lasting effects of the Vietnam War.Honoring those who served in the war at home or abroad, the inside covers of this book feature images of submitted photographs of Vietnam veterans.Filled with more than 500 photographs, The Vietnam War tells the story of Vietnam through powerful images; profiles of the war's most influential figures, such as Henry Kissinger and Pol Pot; and a complete overview of the conduct, strategies, and events in this controversial war, including Ho Chi Minh's rise to power, the Geneva conference, America's intervention, and the Christmas bombings. Gallery spreads feature collections of infantry weapons, artillery, aircraft, and armored vehicles, and diagrams and maps show exactly where battles and key moments happened.A divisive and destructive event, the Vietnam War was the world's first televised war, and photographs from its front lines powerfully convey war's complex reality. Taking a global perspective, The Vietnam War remembers the people who served and features full spreads about prisoners of war, anti-war protest movements, and the significance of the war for black Americans as they struggled for civil rights.A powerful gift for the military enthusiast, The Vietnam War is a stirring visual record of the suffering, sacrifice, and heroism in America's longest and bloodiest conflict of the 20th century.